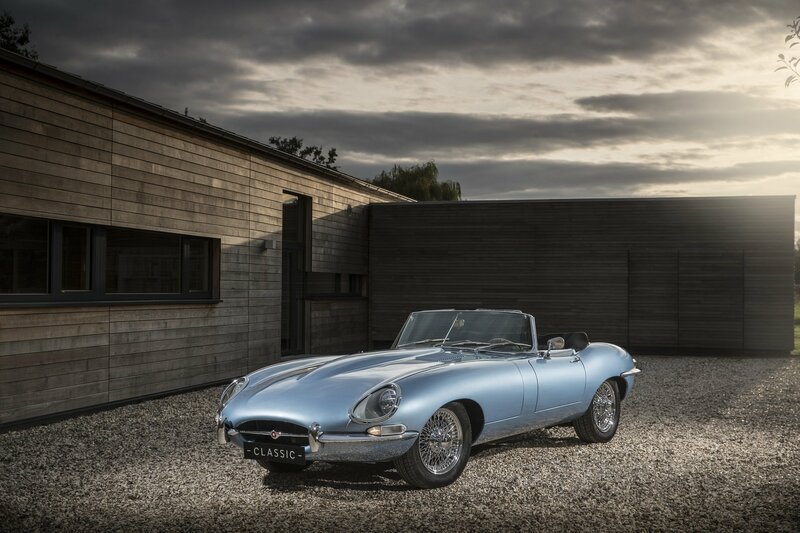 The Classic Jaguar E-Type Goes Electric! When Enzo Ferrari calls a car “the most beautiful car ever made”, it has to be true. The Jaguar E-type, launched in 1961, quickly became known as the best-looking car of all time. In 1968, a sportier version, the Series 1.5 Jaguar E-type Roadster, was introduced, reinforcing the line’s beauty codes. It is that model that recently served as the inspiration for the design of UK-based Jaguar Land Rover Classic‘s latest marvel, the E-type Zero, an electric-powered sports car featuring a cutting-edge, fully electric powertrain. In addition to looking like an E-type -so basically, like “the most beautiful car ever made”- the E-type Zero also boasts outstanding performance: from 0 to 100km/h (62mph) in only 5.5sec, it’s about one second quicker than a Series 1 E-type. The vehicle’s power output has been limited in an effort to seamlessly combine the E-type Zero’s electric powertrain with the dynamic set-up of the original E-type specification. Apart from its 21st century state-of-the-art powertrain and modified instrumentation, the new car is totally original in specification. 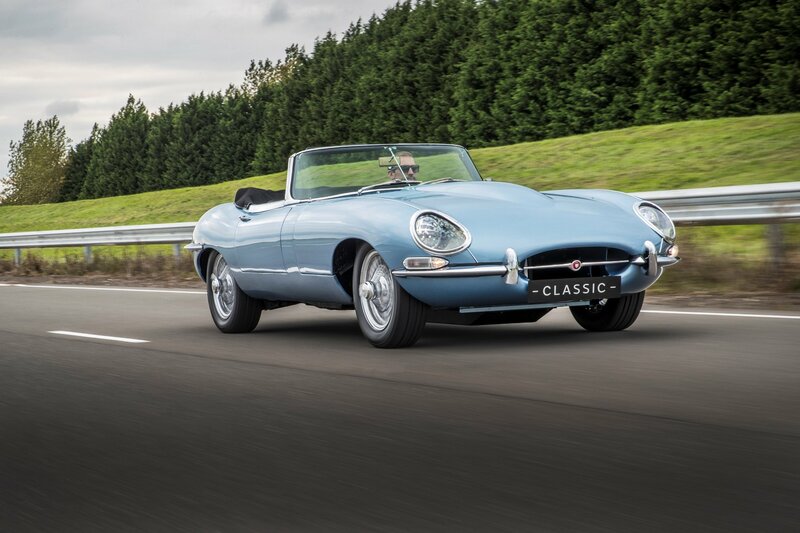 It is a restored Series 1.5 Roadster, with facia inspired by the original E-type; headlights within the original Series 1 E-type styling theme; and a driving, handling, riding and braking experience as smooth as its comfortable leather seats. The front-rear weight distribution also remains unchanged. An electric powertrain developing 220kW has been specially designed for the E-type Zero, and will be placed in precisely the same location as the XK engine. Its lithium-ion battery pack has the same dimensions and similar weight to the XK six-cylinder engine used in the original E-type. 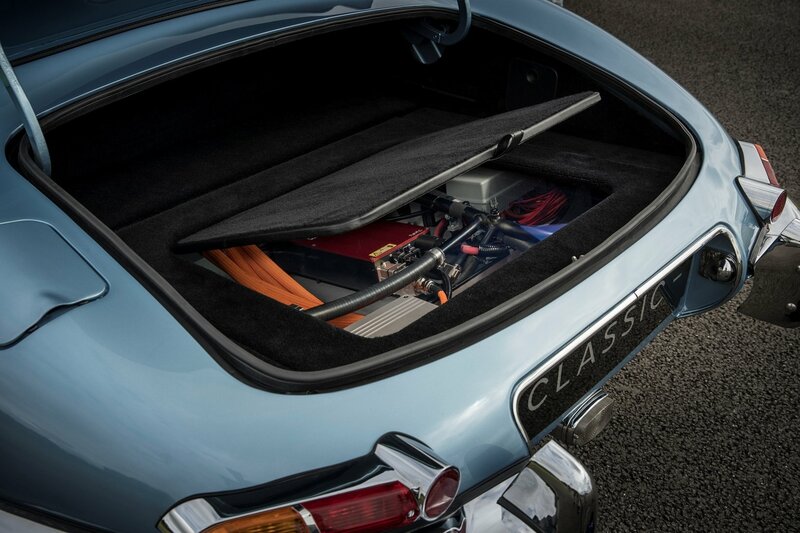 The electric motor lies just behind the battery pack, in the same location as the E-type’s gearbox. A new prop shaft sends power to a carry-over differential and final drive. Using an electric powertrain with similar weight and dimensions to the outgoing petrol engine and transmission means the car’s structure, including suspension and brakes, has not changed. Both the conversion and homologation are thus simplified. A welcomed difference with the original E-type is the 46kg lowered total weight. Director of Jaguar Land Rover Classic Tim Hannig summed up the objective of this amazing creation in one clear and straightforward sentence: “Our aim with E-type Zero is to future-proof classic car ownership.” Well let’s just say we are future-proofeed alright! This might just be the dream car for those of us who have both a soft spot for vintage-looking cars and a penchant for ecology and sustainability!